Peter Gibbons, the chief cube-dweller played by Ron Livingston, in Office Space, was very nearly played by Matt Damon. That’s per Entertainment Weekly’s new oral history of the film, which details how close the unassuming cult classic came to starring one of Hollywood’s biggest stars near the peak of his career, as well as how that possibility nearly led writer/director Mike Judge to abandon the project entirely. Still, Judge met with Damon. The two got along and Damon liked the script, but, by that point, Judge felt he had already found his Peter in Ron Livingston. After a screen-test Fox agreed to go with the lesser-known Livingston on the condition that the role of Peter’s girlfriend Joanna go to a big name actor, which ended up being Jennifer Aniston. “Jen’s agents probably told her she was going to co-star with Matt Damon,” Judge cracked. 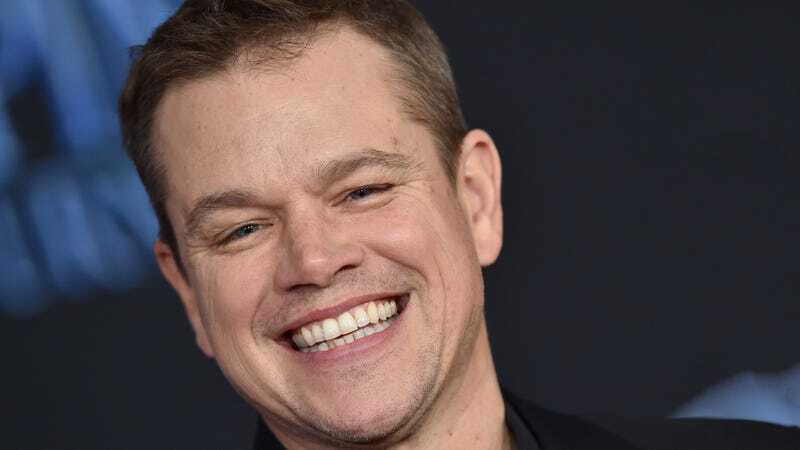 The film flopped commercially, with Fox blaming Judge’s casting decisions and Judge blaming the film’s marketing, which featured an image of a man covered with Post-it Notes and not big-name star Jennifer Anniston. Office Space found success on DVD, thanks in large part to Livingston’s amiable performance and the off-kilter charisma of Judge’s mostly unknown supporting cast, not to mention its routine airings on Comedy Central. Check out the rest of the oral history over at Entertainment Weekly. How Do You Like Them Staplers?